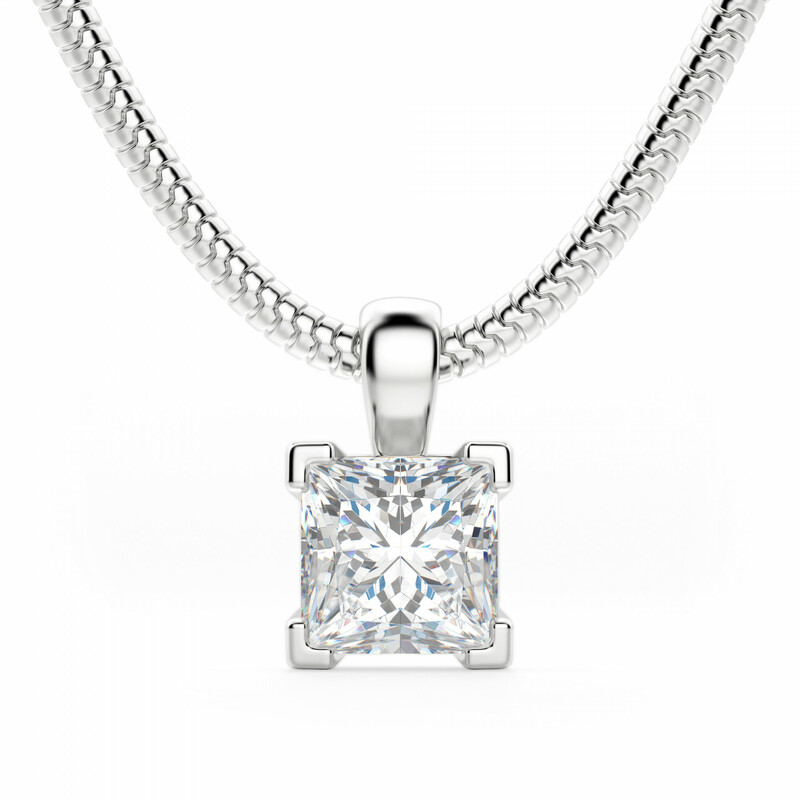 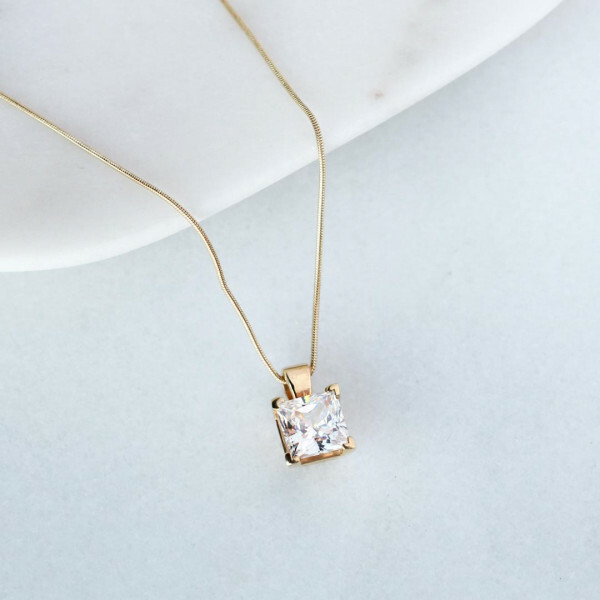 1.59 Carat Princess Cut Single Bail Pendant - 14K White Gold was added to your cart. 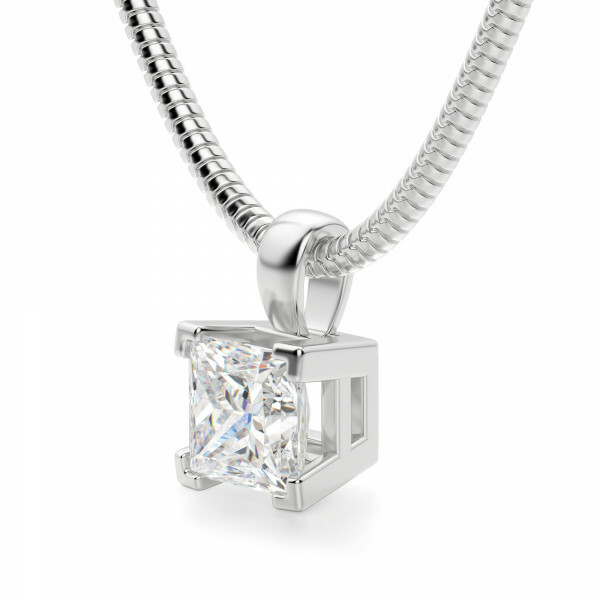 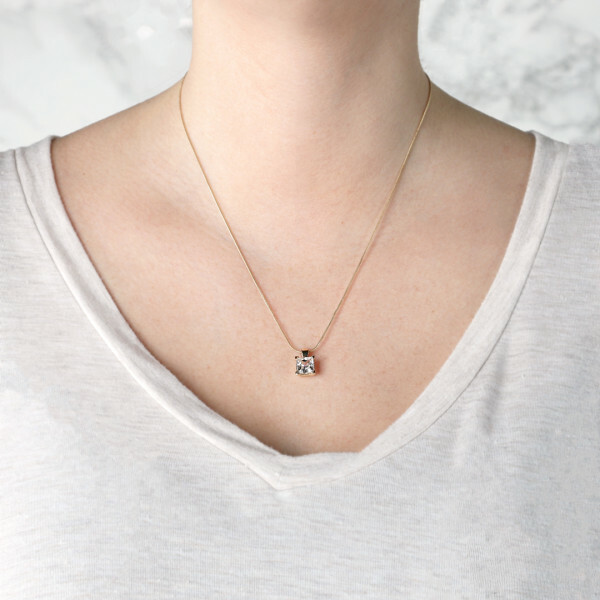 A modern and breathtaking pendant. The Princess cut Nexus Diamond alternative is set in a simple right-angle prongs with a single bail, which creates a clean and classic look.